Barbara Brunson has been a member of the Pee Dee Association for 44 years. She has served as President, Vice President, Sgt at Arms and Director on her local board for many years. She has served on the State Board of Directors and presently is serving as Sgt at Arms. She has served on all committees for her local association. On the State board she has served on the Audit, Ways and Means and Jamboree. She bowled in all the local and state tournament along with the southeastern, azeala, masters 225, turtle, tnba, 600 club and national. Barbara has served as a delegate to the State meeting for many years. 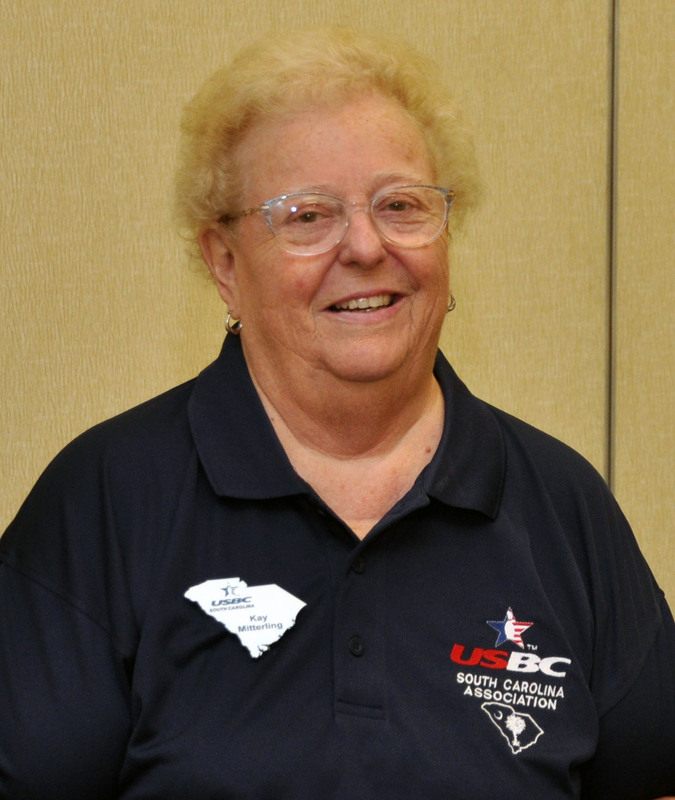 She is a certified coach with the youth since 1965 and has worked many of the youth tournaments for many years. She presently helps work the senior tournament on the state level. She is a life member of the Pee Dee Association. Barbara has a great personality and gets along with everyone. She is very willing to do anything you ask her to do and helps out whenever possible. Again we congratulate Barbara on being inducted into the South Carolina Hall of Fame under the Meritorious Services for Adults in the 2011-2012 bowling season.